Having lunch in a secret garden in Rome. Visiting the most important archaeological museum in the world in the old center of Naples. Dozing under the rumbling plume of Etna’s active volcano. Cycling along the Arno in Florence. 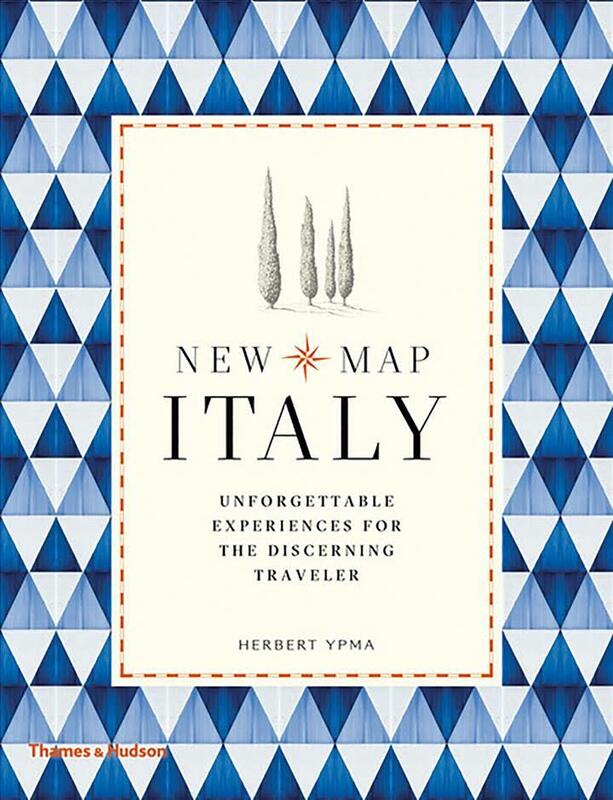 Expert globetrotter and travel photographer Herbert Ypma, author of the bestselling HIP Hotels series, guides readers through “alternative maps” of travel destinations to reveal hard-to-find places that still hold something special with his new series of books, NEW MAP, launching April 2 with NEW MAP ITALY: Unforgettable Experiences for the Discerning Traveler (Thames & Hudson). Ypma shows travelers how to “Stay in Character,” highlighting authentic places to stay that range from the grand or eccentric to the small and quirky; how to “Experience the Eclectic,” enjoying one-of-a-kind adventures, visits, and events; how to have a “Legend for Lunch,” a memorable midday meal worthy of at least one dinner-party conversation back home; and provides “Convincing Context,” introducing relevant nuggets of history to enhance travelers’ experiences. Brimming with beautiful photography and illustrations throughout, NEW MAP ITALY details unique and unforgettable travel experiences in all of Italy’s best-loved regions: Umbria, Milan & Lake Como, Venice, Florence & Tuscany, Sardinia, Verona & Lake Garda, Puglia, Rome & Lazio, Capri, the Amalfi Coast, Sicily, Naples, Matera, and the Aeolian Islands. · Eclectic Experiences: taking a night boat from Naples, jumping off the cliffs south of Otranto, swimming the walls of Dionysius in Syracuse, exploring forgotten farmland in Sicily, and finding the best gelati in Rome. · Staying in Character: sleeping next to a sloshing canal in Venice, living in a “four star” cave in Matera, sharing a Puglian farmhouse with animals, or waking up with a view from Homer’s Odyssey. · Legend for Lunch: dining in a winery on an island near Venice, lunching at a former deli in an ornate neoclassical courtyard in Milan. · Convincing Context: learning about the most beautiful Baroque art in Sicily, seeing the most beautiful fountain in Rome, and experiencing outdoor sculptures throughout Florence.